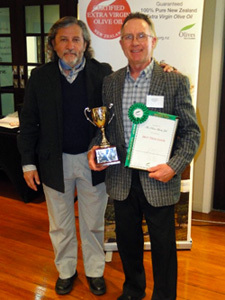 The Olive Press is a company based in Wairarapa with shareholders including local olive growers. We have been pressing olives since 2001 using a large centrifugal olive press imported from Florence, Italy. The Olive Press will accept fruit from anywhere in NZ. We predominantly service Wairarapa growers as well as Kapiti, Wanganui, Wellington, Manawatu and Hawke’s Bay. Our press is capable of processing 1,500 kilos of olives per hour and produces the highest quality extra virgin olive oil. Is your grove getting you down? Too busy or can’t be bothered any more?The Olive Press offers a variety of services designed to help you get your life back! From full lease or management contracts to a one-off spraying, weeding or pruning session, we can help you out. 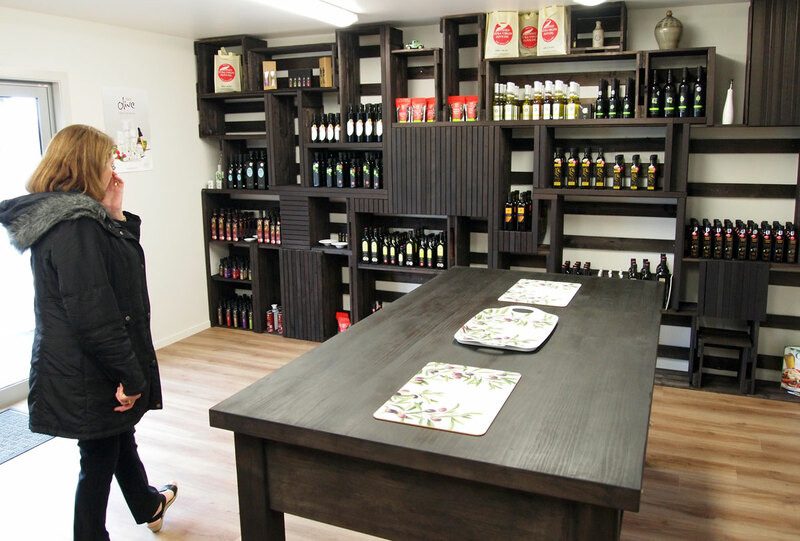 The Olive Press company also offers other services such as bottling and oil storage at our Wairarapa facility. You can find details here. Stop Press – 2018 Awards – Winners Again! 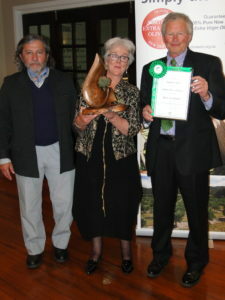 Once again Wairarapa and The Olive Press have cleaned up at the annual Olives NZ Awards – including Best Processor (5th time) for TOP and Best in Show (3rd time) for Loopline Olives. Of the Supreme Awards we pressed all five – and we won one of them with our own oil. Of the Best in Class winners we pressed 9 out of 16 (56%) – and we won two of them with our own oils. Of the 28 Golds awarded, we pressed 12 (43%). Kate & Mark Bunny collecting their “Best in Show” award. Our 'factory shop' is open for business. 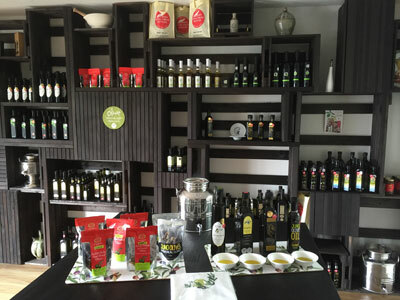 Named "The Olive Market @ The Olive Press", the shop provides a specialist retail outlet for our shareholders and pressing clients. See the full story on our News page here. Bruce McCallum appeared on the Rural Delivery TV programme telling the story of the business and how it has changed over the 15 years of its existence.